Clinton: The First Vegan Ex-President? Want to help foster homeless rescued dogs and cats? 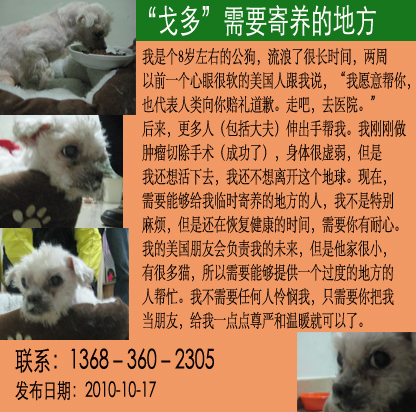 If you live in Beijing and can provide a safe, warm home for a rescued dog or cat for as short as two weeks or as long as several months, please contact us. There is always need for good foster homes for rescued dogs and cats. Please contact chris@hutongrobot.com for details.